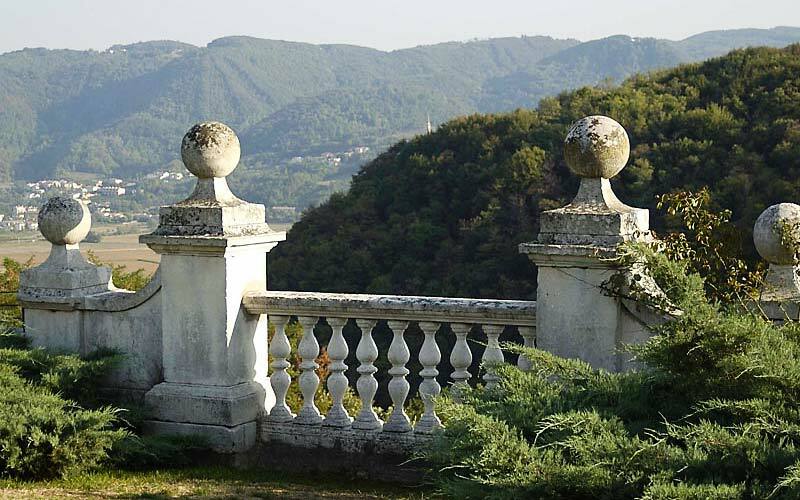 In the tiny little town of Arcugnano, nestled amidst the verdant hills just South of Vicenza, Villa Michelangelo dates all the way back to the 18th century, when it was built as the palatial country residence for a noble family from nearby Venice. 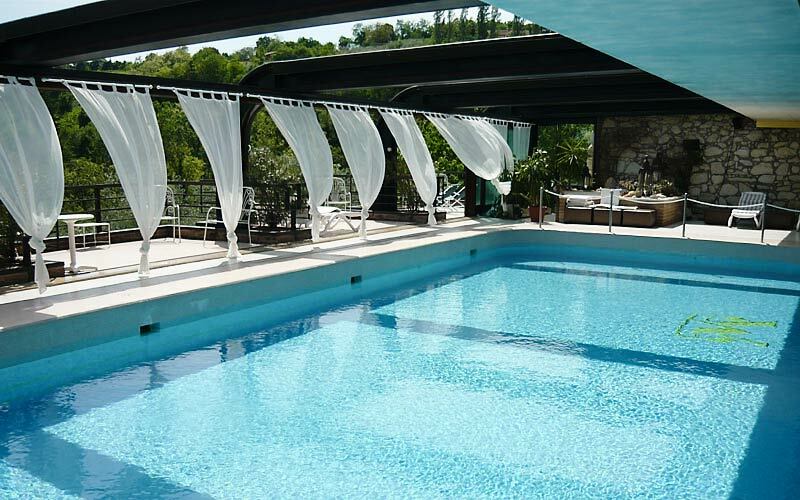 Now a stunning four star hotel, Villa Michelangelo conserves countless traces of its patrician past, from the Palladian style facade to the sumptuous interiors and meticulously manicured gardens. 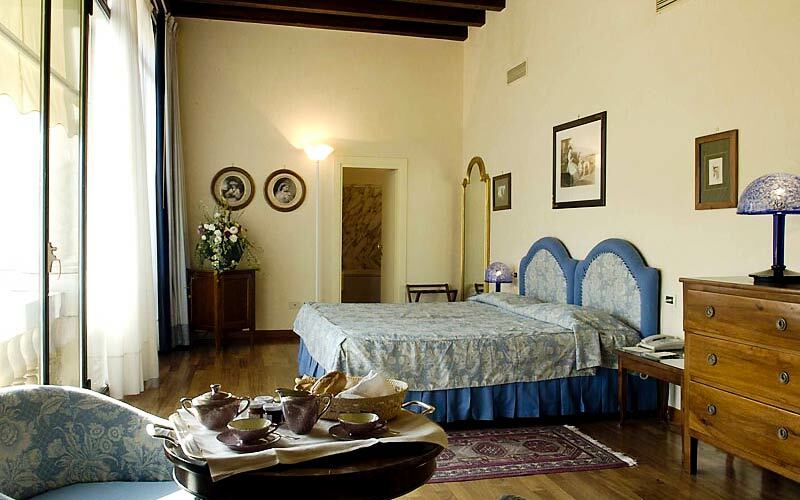 Hotel Villa Michelangelo provides luxurious guest accommodation in a selection of beautifully furnished bedrooms and suites, all of which characterized by the same pleasing combination of old world charm and contemporary comfort. 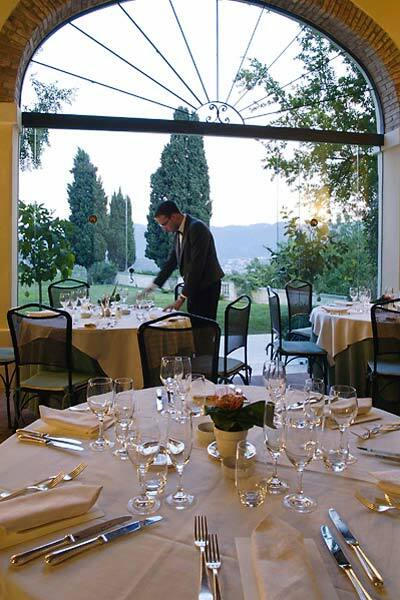 In the hotel's La Loggia restaurant guests are treated to exquisitely presented gourmet cuisine accompanied by only the very best of Veneto's world famous wines. 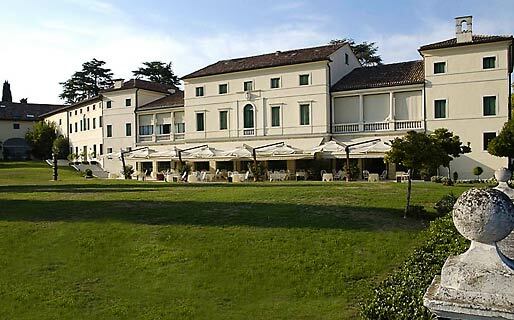 An idyllic setting for every genre of event, Villa Michelangelo offers a choice of fabulous function rooms in which to host that exclusive meeting or elite social gathering. 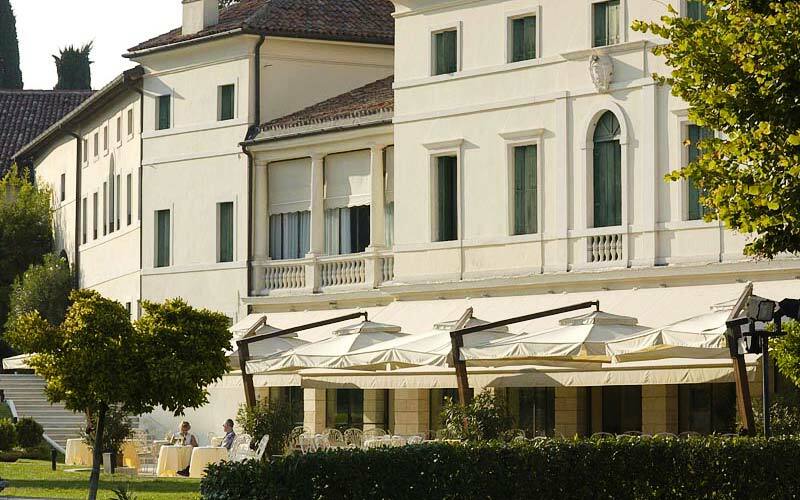 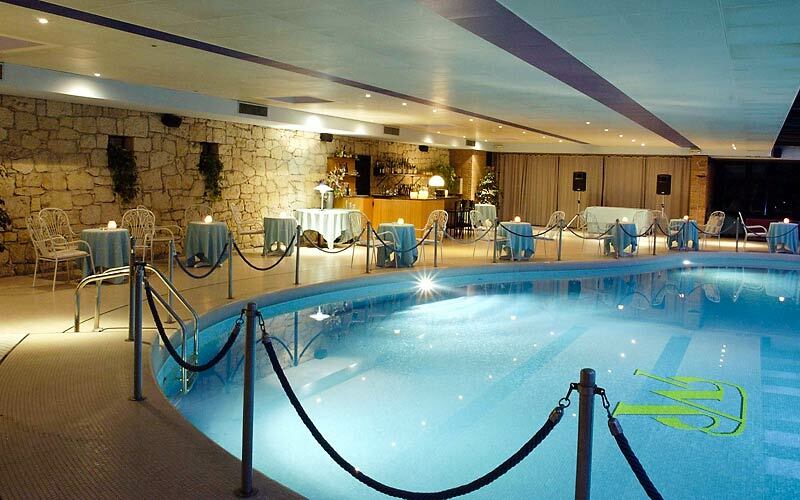 Unforgettable wedding receptions and glamorous gala dinners are regularly held in the magnificent Gran Salone, by the pool, or in the gardens of the villa. 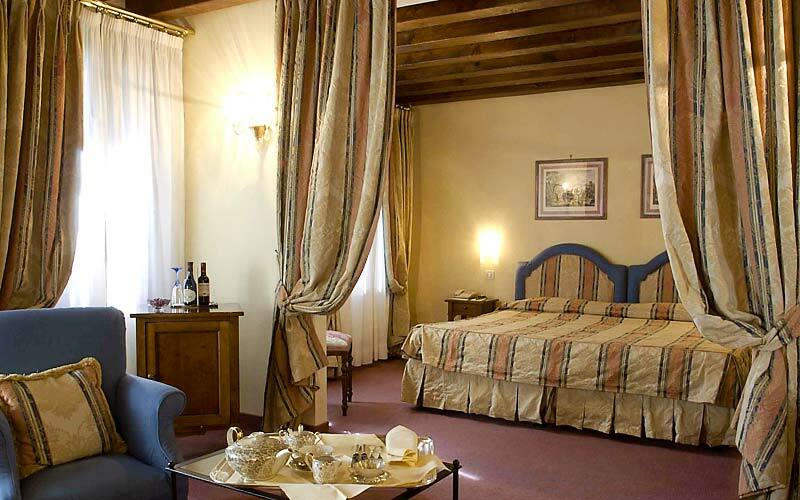 Hotel Villa Michelangelo is located in Arcugnano, a pretty little town in Italy's Veneto region, in the heart of the Colli Berici. 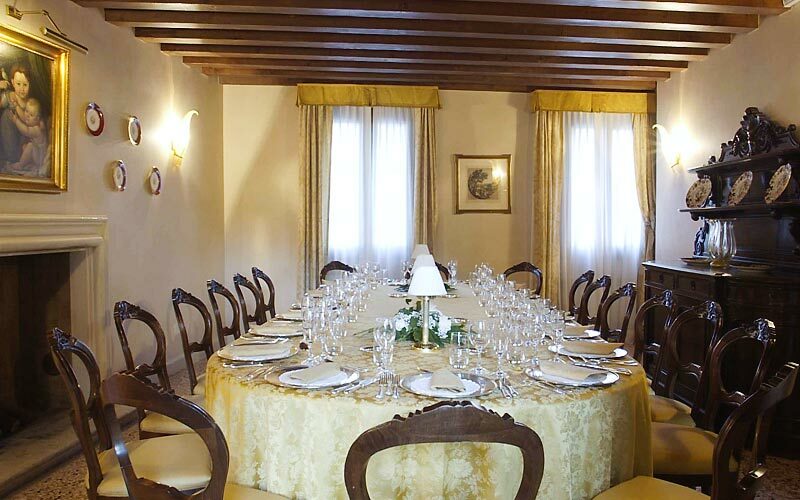 Vicenza, the closest city, is a mere 8km drive away.